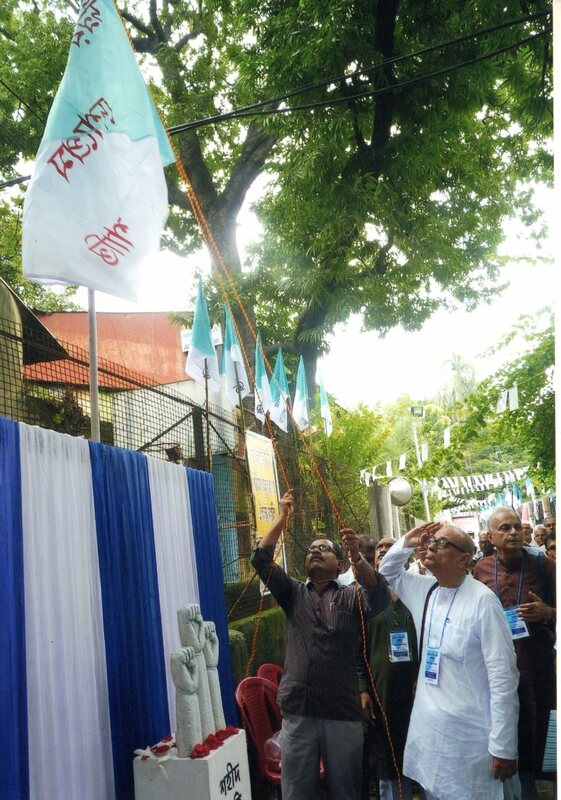 13th September 2016 – the 13th central Conference of the Nagarik Sammelan was held on “Subodh De-Sakti Chatterjee – Manik Chandra-Charuchandra Mukhopadhay Nagar” (Kalighat). (Retd) Justice Mr. Ashoke Ganguly inaugurated the ceremony. Resolutions were adopted on (a)Extension of Metro Rail; (b) Resisting price-rise; (c) Electricity tariff; (d) Civic Amenities etc. Out of about 500 delegates from the length and breadth of Kolkata, 32 delegates participated in the discussion which were lively containing criticism as well as constructive suggestion. New committee consisting of 30 numbers and 9 inviteds were elected unanimously. Honourable (i)Justice Ashoke Ganguly will be the President (ii) Prof Tirthankar Chattopadhay the Working President (iii) Prof Asoke choudhuri Secretary (iv)Swapan Mondal the Tresuirer for the next two years. Prior to the district conference, zone and ward conference were held at the lower level successfully. Our constitutional obligation is to hold conference biennially. The first conference was held on 6th sept 1987 at Calcutta University Centenary Hall when our constitution was adopted, the 1st committee formed and the organization started its onward journey. In course of 28 years 13 conference were held, the last of which was held on 13th September 2015.